Background: Originally from Midlothian, Virginia, Jenny has been a resident of Pitt County since 2000. A proud graduate of Virginia Tech, she holds a Bachelor’s Degree in Business Management. 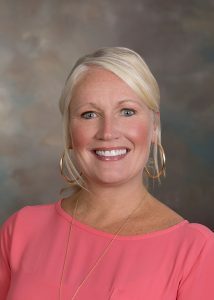 Jenny has held her NC Residential Brokerage license since 2005 and has worked for the past 12 years as a full-time broker with Aldridge & Southerland Realtors, Inc. focusing on residential sales and purchases, investment properties, luxury homes and new construction. For the past five years, she has been a member of a top-producing team and furthered her knowledge by earning her Strategic Listing Specialist and Certified Staging Agent designations as well as completing all courses to become a graduate of the Realtor Institute. Jenny is married to Justin Mullarkey and they have two children, Jack and Campbell Bratton. In her spare time she enjoys reading, exercising and trips to the beach with family and friends. Primary Specialty: Residential sales and purchases, new construction, investment purchases and general brokerage. Professional, yet personal service, is her key to success as is attention to detail and diligent communication with all parties involved in each transaction.